Google Not Indexing New Content On Blogger Custom Domains? 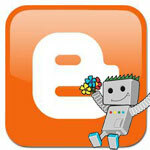 Home > Google News > Google SEO > Google Indexing Issue With Custom Blogger Domains? Google Indexing Issue With Custom Blogger Domains? A Google Webmaster Help thread has bloggers who run off the Blogger Custom Domain set up that their new blog posts are not being indexed and ranked in the Google search results. It seems like this is happening to a large number of those on the Blogger platform - although it is not happening to everyone. The reports date back to the 8th of February and continue almost 10 days later. We hear from your posts here that these fluctuations haven't settled down for some of you, so we're definitely still looking into those details. Fluctuations in crawling and indexing can be normal, and are to be expected. While we work hard to make the processes as stable as possible, temporary changes can occur over time. In this case, it looks like we may have reduced crawling of some sites temporarily (this should be back to normal since several days though). You can see our crawling activity in your server logs, or in the Webmaster Tools "Crawl stats" section. If you have seen fluctuations like that in this time, keep in mind that it may take a bit of time for things to settle back down again. Generally speaking, one possible way to make sure that technical fluctuations like these are resolved as quickly as possible is to make sure that you have a fantastic website. While the quality of your website won't keep technical issues away completely, it can help to make sure that our algorithms are happy to spend a significant part of their time/resources on crawling and indexing your content in an optimal way. While I haven't reviewed all of the sites that posted here, some of them do look like they could be somewhat improved. If you're unsure what that could involve, I'd recommend starting a new thread here, listing your site's URL, the goals of your site, and asking for honest & open feedback from the community at large. A good rule of thumb is to try to be the absolute best, by far, website in your niche -- don't focus on other websites that are "just as bad" or "doing the same thing." Is your custom Blogger domain indexing new posts fine in Google?